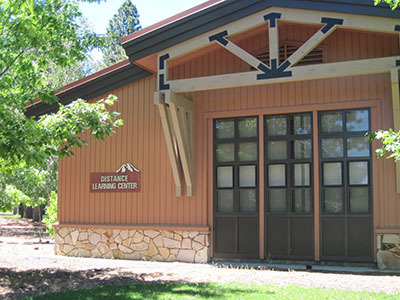 The mission of Distance Learning at COS is to develop and deliver universally accessible, academically sound, and technologically advanced instruction, while supporting student success, providing the depth and breadth of a quality post-secondary degree education, responding to community needs, and promoting faculty innovation. To provide high quality instruction and instructional services to learners enrolled in distance education classes. To promote adoption of instructional best practices by faculty involved in teaching distance education classes. To foster an atmosphere of professional growth and exploration into quality innovative approaches to teaching and learning in distance education classes. Online courses can be taken from any Internet-connected computer, making them a good alternative for those who live at a distance from the campus or cannot be on campus during regular class hours. Some Internet classes are "hybrid" courses, blending online with on-campus work. Please be sure that you can be available for the on-campus portion of this work. Videoconferencing connects several classrooms in the County to offer real-time interactive learning. These classrooms allow students to be able to participate in classes at their locations, rather than having to drive many miles to a COS campus. See our list of Video Classroom Locations for contact information for each site. These courses use the College’s LMS to supplement a regularly scheduled on campus course so that students have additional access to course materials (learning resources, assignments, gradebook, and discussion boards, for instance) and the ability to communicate online.